In the early hours of New Year’s Day, the New Horizons spacecraft came within 2,200 miles Ultima Thule, a distant, icy object on the edge of our solar system and now the most distant world ever visited by a spacecraft. 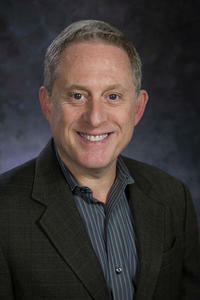 Dr. Alan Stern, planetary scientist and associate vice president of the Space Science and Engineering Division at Southwest Research Institute, has been appointed to the National Science Board (NSB) by the Trump Administration. 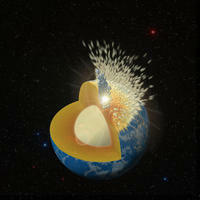 Collisions after Moon Formation Remodeled Early Earth. 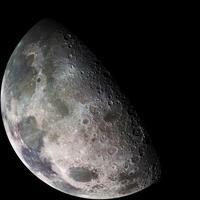 A Southwest Research Institute scientist with expertise in how water reacts with lunar soil contributed to a new study that indicates water and/or hydroxyl may be more prevalent on the Moon’s surface than previously thought. 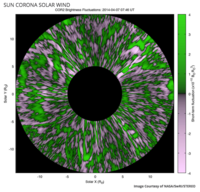 A Southwest Research Institute-led team discovered never-before-detected, fine-grained structures in the Sun’s outer atmosphere, or corona. 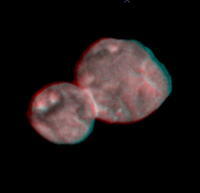 The team imaged this critical region in detail using sophisticated software techniques and longer exposures from the COR-2 camera on board NASA’s Solar and Terrestrial Relations Observatory-A (STEREO-A). Southwest Research Institute's Planetary Science Directorate has over 80 employees and is located in the Exeter Building at 11th and Walnut in downtown Boulder, Colorado. Southwest Research Institute (SwRI), based in San Antonio, Texas, is an independent, nonprofit, applied engineering and physical science research and development organization with over 3000 employees. 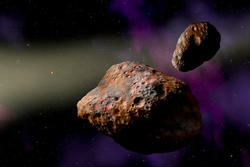 The Space Science and Engineering Division's goals are excellence in space research and the expansion and deepening of SwRI's space research efforts. NASA’s Cyclone Global Navigation Satellite System (CYGNSS) won the “Mission of the Year” award at the American Institute of Aeronautics and Astronautics (AIAA) 2017 Small Satellite Conference. CYGNSS, a constellation of eight microsatellite spacecraft built and operated by Southwest Research Institute (SwRI), was launched into low-inclination, low-Earth orbit over the tropics in December 2016.